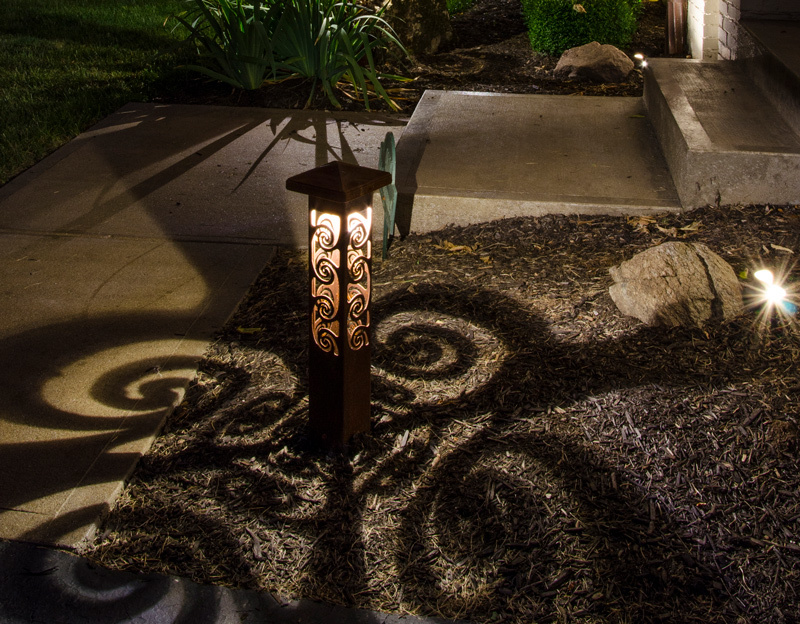 Outdoor lighting not only beautifully illuminates your home, it’s also provides safety and security. Winter can wreak havoc on your outdoor lighting system. But, with a few preventive maintenance measures, you can protect your outdoor lighting from costly or hazardous damage. Let’s look at a few outdoor lighting winter maintenance tips. Once winter is in full swing, all the leaves have fallen off the trees and inevitably made their way directly into your yard – like a moth to a flame. You may think about waiting until spring to clean them up but that could affect your outdoor lighting design. 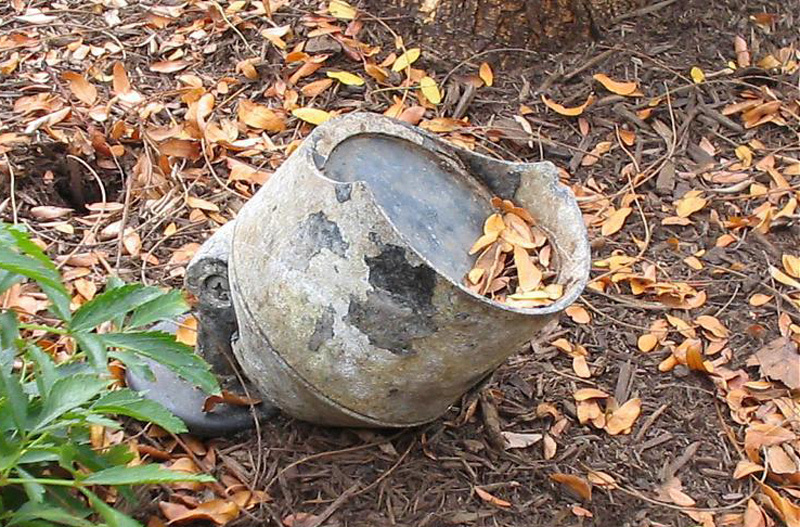 Leaves piling up throughout your property can bury landscape lighting fixtures. This is a safety hazard that can lead to injury. Your outdoor lighting installation should shine a light on the areas that are difficult to maneuver in your landscape such as walkways and steps. Taking the time to remove leaves from around your fixtures will help keep these areas well-lit and safe throughout the icy winter weather. Additionally, guests, small children and pets may not realize that lighting fixtures hidden by leaves are there. Which opens the possibility for them to inadvertently trip over the fixture; hurting themselves and breaking the light. Exposed wires are never advisable because they are extremely dangerous. Wires that aren’t buried very deep and have been improperly laid can work their way to the surface over time. This causes problems in the winter when wires can become hidden by leaves and snow. 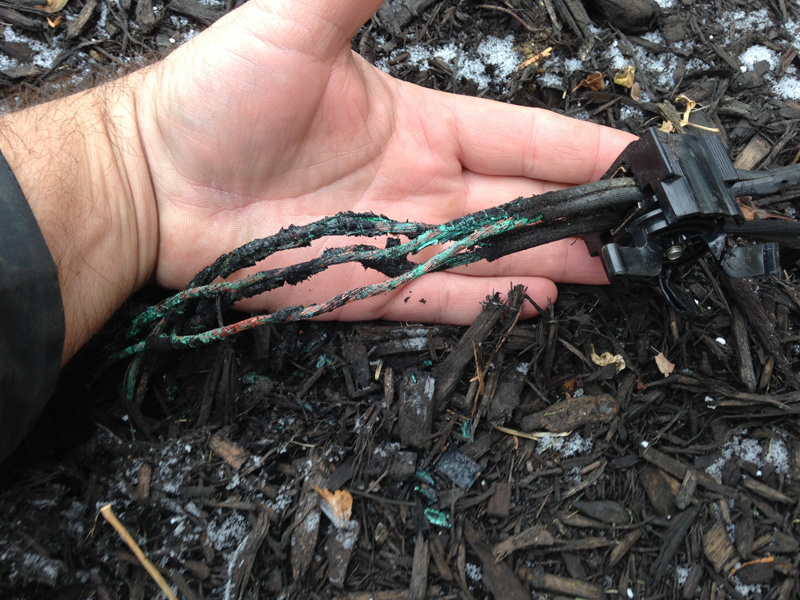 These exposed wires can cause a trip and fall or lead to an accidental cutting of the wire by a snow shovel. Even though it’s cold, it’s best to take a walk around your landscape every couple of weeks or after a major storm and survey for any problems. Make sure all wires are still safely underground and rebury any which have worked their way to the top. If your landscape lighting was installed by a Lighthouse Outdoor Lighting professional, you can relax knowing that you have “no charge” service calls throughout the first year. Extreme temperature changes can significantly shorten the lifespan of certain light bulbs. Instead of climbing a ladder to your roof or trees to replace bulbs, it is advisable to have a lighting maintenance contract with a reputable company for such cases. A second option is to upgrade your outdoor lighting system or bulbs to a kind with a longer lifespan, such as LED. LED bulbs are known for being energy efficient and lasting for many years. At Lighthouse Outdoor Lighting we provide our clients with the best in low voltage LED lighting. We are confident that our LED bulbs will save you on energy costs and continue to light your way without worry. Our five-year bulb replacement warranty for new systems and LED system upgrades means we will be there if a problem arises. Wintertime brings with it the potential for increased damage due to moisture. 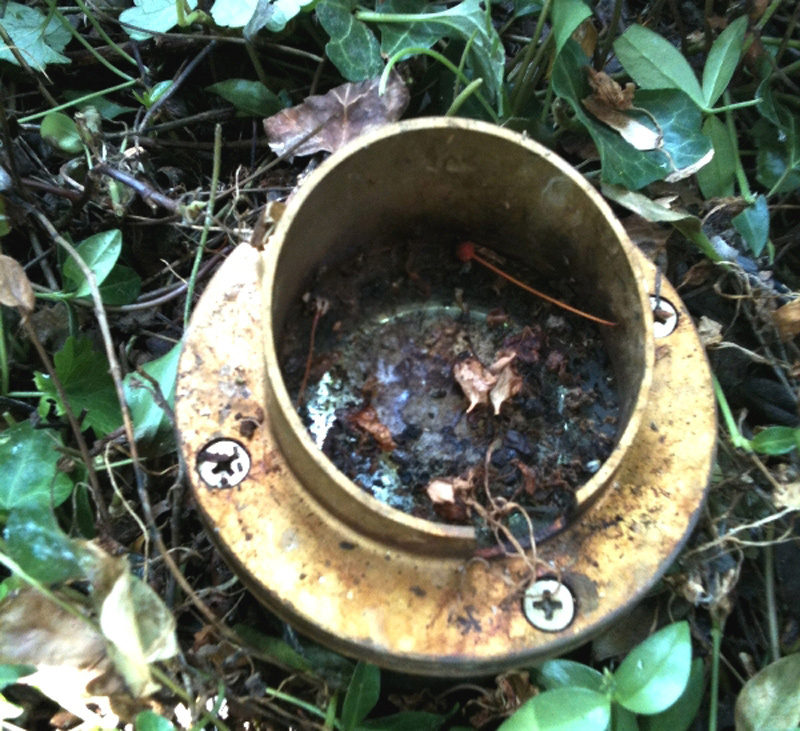 Moisture is never a good thing for outdoor lighting systems. Remove snow from your outdoor lighting fixtures to help prevent moisture from seeping into the inner workings of the light. 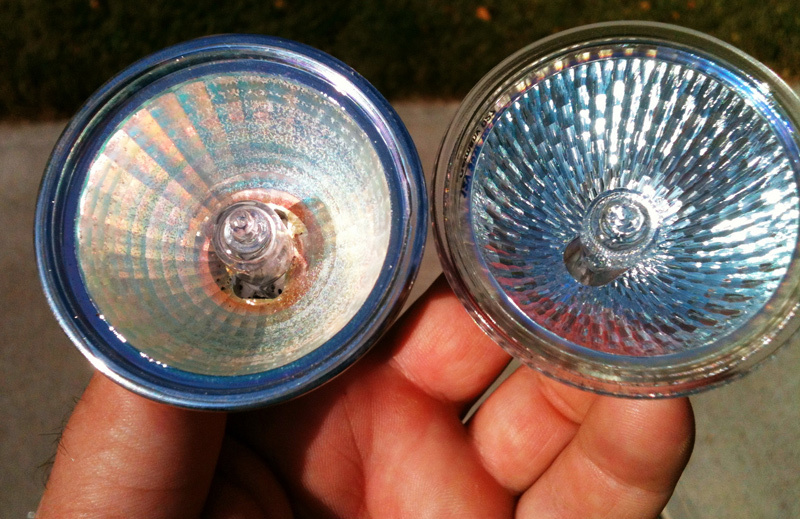 If water gets into your lighting fixture it can short it out. When installing landscape lighting, choose quality fixtures that have a lifetime warranty. This will preclude you from having to pay for any damage due to moisture issues. If you already have outdoor lighting, begin doing a routine check to make sure all globes and casings are tightened and sealed properly. Replace any damaged or broken globes. Even though outdoor lighting is designed to withstand elements from the outside, it is still important to carry out routine maintenance to prevent costly problems down the road. At Lighthouse Outdoor Lighting, we understand life can get hectic – and we want to make it easier for you. Contact us for more information about our outdoor lighting services, warranties, and no charge service calls for one year.